If patient is a child, what is their weight? Please indicate either yes or no for the following list of conditions. Your answers are for our records only and will be confidential. Please note that during your initial visit you might be asked additional questions in regards to your response. Our team may ask additional questions concerning your health. Are you planning a pregnancy in the near future ? Please list any medications that you are currently taking. I hereby consent to and authorize all treatments, which in conjunction with the judgment of my dentist, may be considered necessary and/ or advisable for the diagnosis and/ or treatment of the patient named above. If patient is a minor/ child, I certify that I am authorized to allow treatment for said patient and that there are no court orders restricting me from doing so. I do, hereby, request and authorize the dental staff to perform necessary dental services for the minor/ child/ ward named above, including but not limited to x-rays and administration of anesthetics, which are deemed advisable by the doctor, whether or not I am present when treatment is rendered. 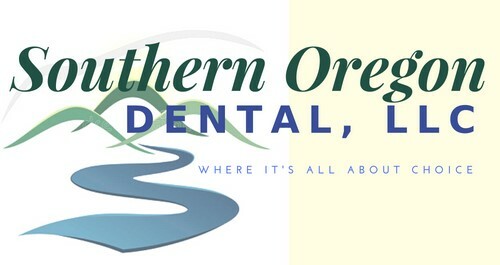 I assign directly to Southern Oregon Dental all insurance benefits, if any, otherwise payable to me for services rendered. I understand that this is done as a courtesy and ultimately, I am solely responsible for all charges incurred, whether or not paid by my insurance company. I authorize the use of mine (or my minor/ child's) healthcare information and may disclose such information to the applicable insurance company(ies) and/or their agents for the purpose of obtaining payment for the services rendered and determining insurance benefits payable for related services. I acknowledge that payment is due at the time services are rendered, unless acceptable prior arrangements have been made. I agree that, when applicable, as parents or guardian of a minor/ child, I accept full financial responsibility for any and all charges/ services provided for the patient. I understand that filing an insurance claim does not relieve me of this responsibility. I understand that the above information is necessary to provide patient with dental care in a safe and efficient manner. I certify that I have answered all questions to the best of my knowledge. Should further information be needed, you have my consent to ask the respective health care provider or agency, who may release such information to you. I will notify the Doctor of any change(s) in my health and/ or medication. Under federal law 104-191, also known as HIPAA, I am entitled to receive a copy of this notice from my healthcare provider. I understand that my signature on this Acknowledgement only signifies that I have received a copy of the notice and does not legally bind or obligate me in any way. I understand that I am entitled to receive a copy of the Notice of Privacy Practices from my healthcare provider, whether I sign this acknowledgment or not. This form authorizes us to use and disclose your Protected Health Information (PHI) / Electronic Protected Health Information (e-PHI) for the purposes of healthcare operations, treatment and payment activities. For questions concerning our Notice of Privacy Policies, please contact our office manager at either office location. I, the undersigned, also give Southern Oregon Dental permission to discuss or release my dental records and PHI/E-PHI to the names listed below. We offer a 5% discount on payments made the day services are rendered. Services must be paid in full to receive this discount. We also offer a 5% senior discount with services paid in full at the time of service. We accept VISA, MasterCard, Discover and American Express for your convenience. No discount on credit card payments. Southern Oregon Dental also offers Financing plans provided by Care Credit financial services. Care Credit offers a variety of options ranging from no interest to low interest finance options specifically designed to help you with your dental needs. For new patients without insurance coverage, we expect payment in full at the time of the first visit. For new patients with insurance, we require the estimated patient portions of the total charge to be paid at the time services are rendered. Once payment has been received from the insurance company, any credit balance will be refunded promptly. All new emergency patients must pay in full at the time of the appointment. In order to devote more of our time to you, we employ First Pacific Corporation as our billing service. They prepare your monthly statement, receive and record your payments. Not to be confused with a collection agency, First Pacific Corporation is an organization of people willing to assist you with any questions you may have concerning your account with us. Payment plans for established patients will be considered and evaluated on an individual basis only, and must be arranged prior to the start of treatment. All financial arrangements are at the discretion of the Office Manager and Owners. Prior arranged monthly payments must be made to First Pacific Corporation before the 20th of the month. A late charge may be assessed if your minimum payment is not received by the due date. The amount of the late charge will be as authorized under the laws of Oregon, 5 % of the past due amount or $5.00 whichever is greater. A finance charge is imposed on those charges not paid in full within 60 days of the date you were first billed. The finance charge is a minimum of $1.00 or 1.25% of the balance due per month under the laws of Oregon. After a courtesy benefits check, we will provide you with an estimate of your insurance co-payment, and at the time of your appointment we will require payment of that amount in full. Southern Oregon Dental, using the information provided by your insurance company, will make every effort to provide you with information regarding your benefits, but we cannot be held responsible for claims rejected or denied due to clauses in your policy. We will submit your insurance claims for you; however, you will be required to make monthly payments on the remaining portion until the balance has been paid in full. Filing insurance claims is a courtesy that we extend to our patients and Southern Oregon Dental is not responsible for claims denied or rejected by your insurance company. All charges are your responsibility from the date services are rendered. If after 60 days from filing your claim we have not received payment from your insurance carrier, we will ask you to pay the remaining balance and ask you to discuss your claim with your insurance company. Our practice is committed to providing the best treatment possible for our patients. We charge what is usual and customary for our area. You are responsible for paying the balance in full, regardless of your insurance company’s determination of usual and customary rates. Keep in mind that the rates paid by your insurance carrier are determined by the insurance carrier and your employer and, in some situations, have no bearing on the real usual and customary rates charged in the local areas. We will try to verify your dependent’s eligibility with your insurance co., however we cannot guarantee your dependents eligibility. It is your responsibility to ensure dependents meet age and student status requirements for coverage. Southern Oregon Dental cannot be responsible for claims denied due to age limits or student status issues. Procedures often have to be performed unexpectedly. For patients who wish to extend payments over a longer period of time than our normal payment plan, please discuss your situation with our financial coordinator. Both partners are responsible for debts incurred up to the date of the divorce decree. The parent who requests treatment for a child is responsible for balance of services rendered for your child. A fee may be charged for all appointment failures and appointment cancellations less than 24 hours in advance. We appreciate you as a patient and your cooperation in complying with this policy. We will continue to offer you optimal dental services.